Sacramento Superior Court Judge Timothy Frawley rejected lawsuits filed over California’s cap and trade law, AB 32, by the California Chamber of Commerce and the Pacific Legal Foundation. The two organizations claimed that the states quarterly carbon auctions constitute an unconstitutional tax on the state’s largest industries because the law did not pass the legislature with a two-thirds majority. Frawley also rejected a claim that AB 32 did not explicitly authorize the state to auction carbon credits. Both the Chamber of Commerce and the Pacific Legal Foundation said they plan to appeal the ruling. Lawyers for California Air Resources Board, which administers cap and trade, defended the ruling, saying carbon auctions are not taxes because buying carbon is optional. Currently, more than 400 companies are affected by the cap and trade law. Since the beginning of the program, the sate has sold nearly $1.1 billion worth of carbon credits. 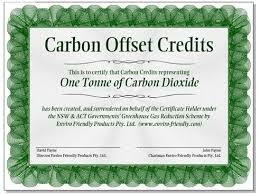 Carbon is bought and sold in one-ton increments during state auctions. One ton of carbon currently costs about $12. carb and the apcd are nothing but extortion rackets,both go into legitimate business and demand a fee for a permit they have just dreamed up,for no legitimate reason,they have been into commerical yards demanding fees for equipment that has been replaced by new “clean” equipment that has been operating for years,the permits do noting to help anyone but the rouges at the apcd. Larry Allen will now have new source of income. What else can we in CA do to kill business? Pretty soon CA will only have government employees and retired government employees. They can regulate each other. Who would have ever thought that we would tax (pardon me, assess a fee) for air. It was once frowned upon that gangsters robbed, threated, extorted people and businesses. Now it is legal for government to do the same thing under the sham of rules and regulations. So now nuclear power is the ONLY thing keeping your bill down. Well, we were told that our electricity rates would necessarily skyrocket under a cap and trade plan – can’t get much clearer than that.